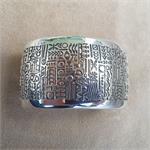 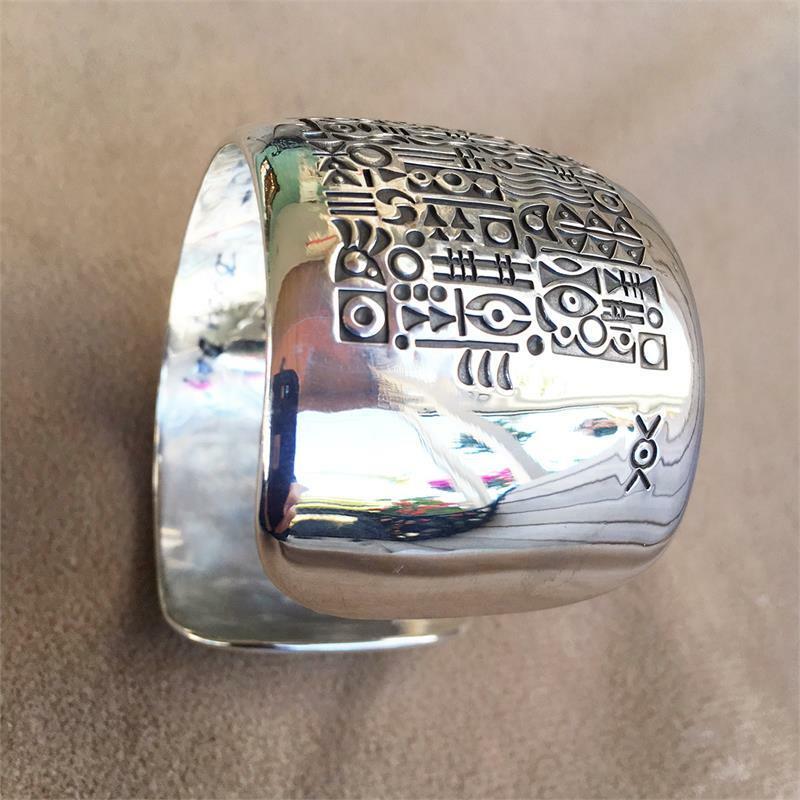 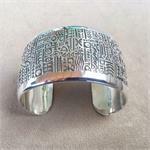 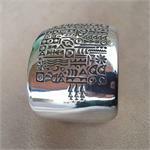 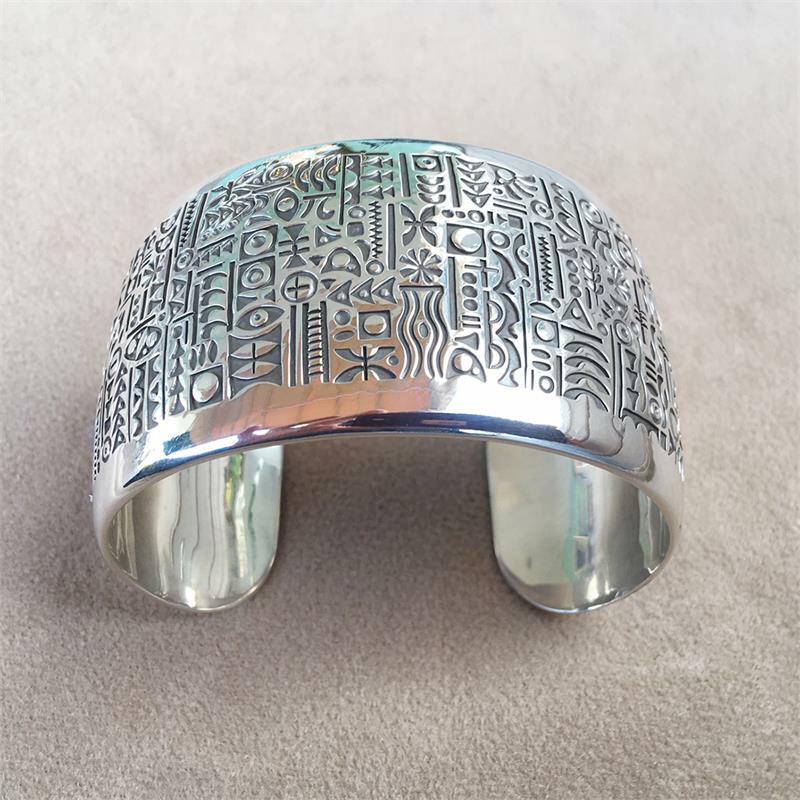 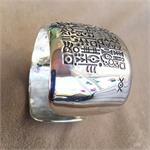 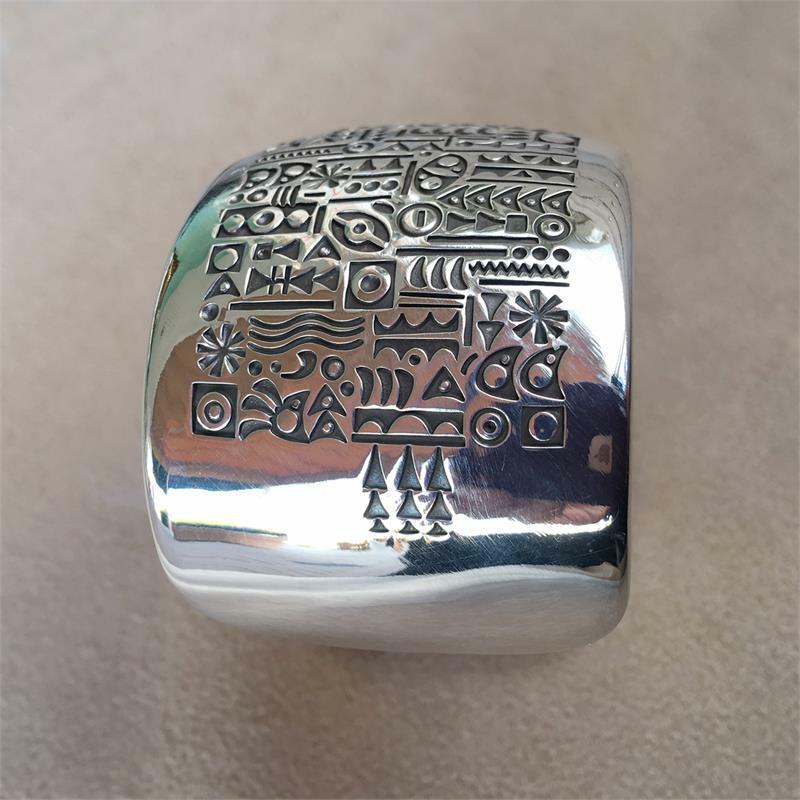 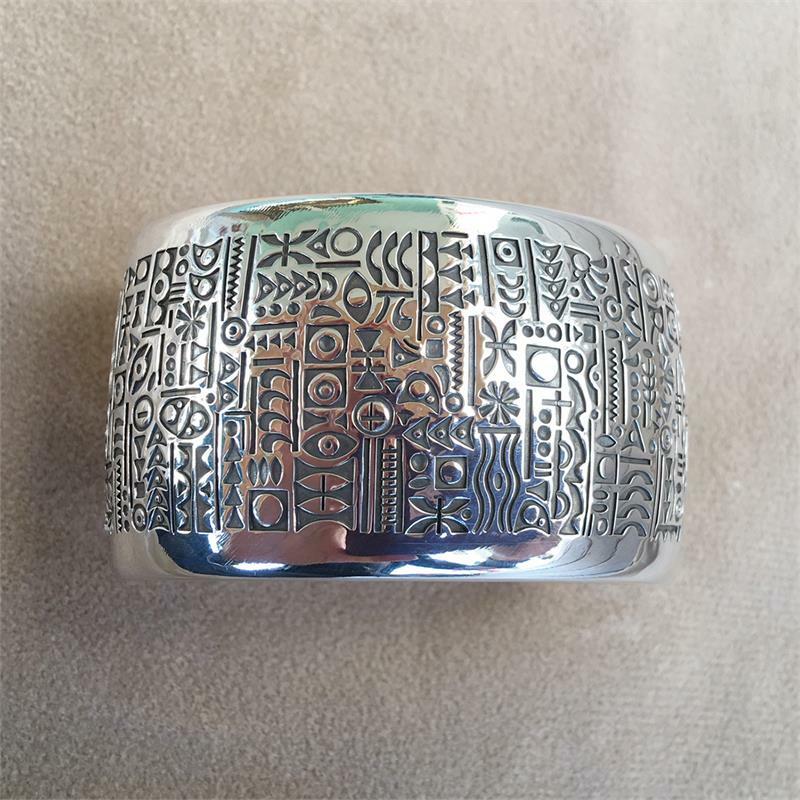 This wide cuff bracelet is heavily stamped with unique characters. It measures 1 1/2" on top. 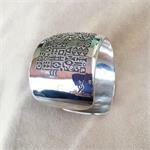 It is 5 15/16" inside and has a 1 3/16" opening. 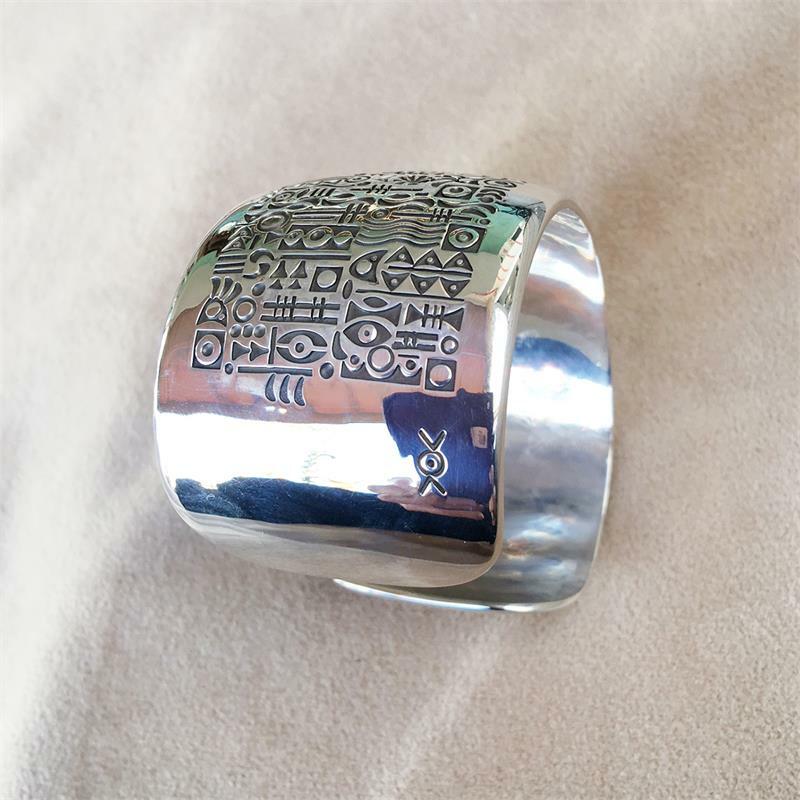 Elegant and whimsical at the same time!